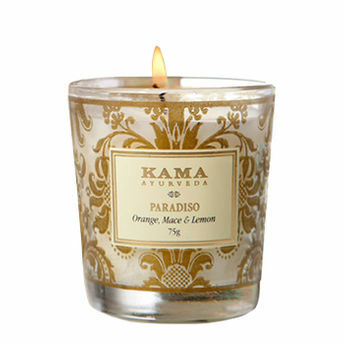 With pure essential oils of orange, mace and lemon. 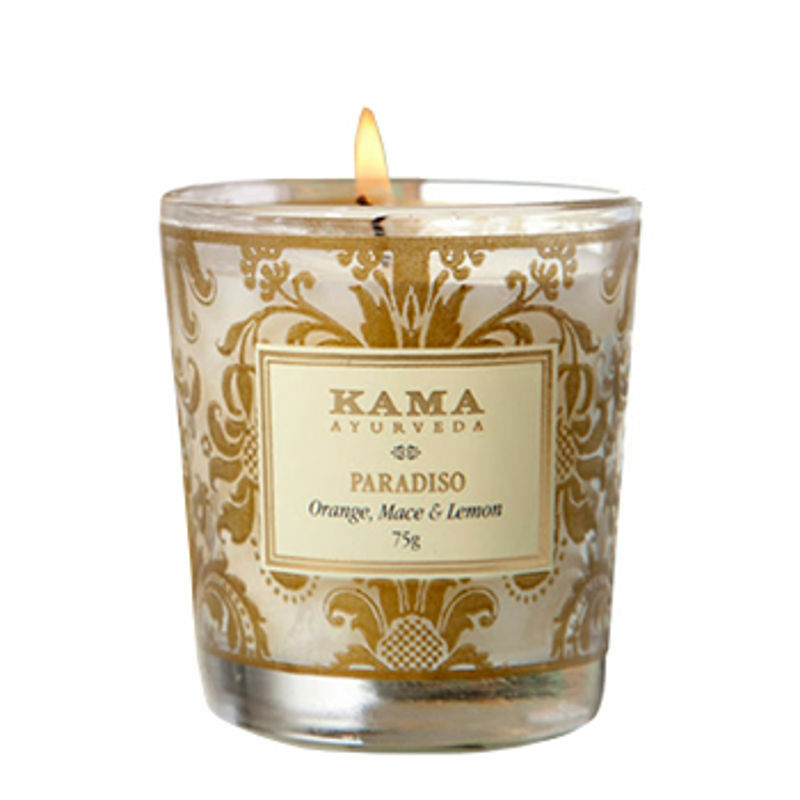 This candle is made with pure essential oils of Orange, Mace and Lemon. Free from any synthetic fragrances. The scent is mild but has strong aromatherapy values.Free from any synthetic fragrances. This candle will burn even down to the bottom of the glass if you are careful to ensure that - blow out the flame and keep the wick upright and in the centre. Do not forget to blow out the candle before leaving the room. Never leave a burning candle unattended.